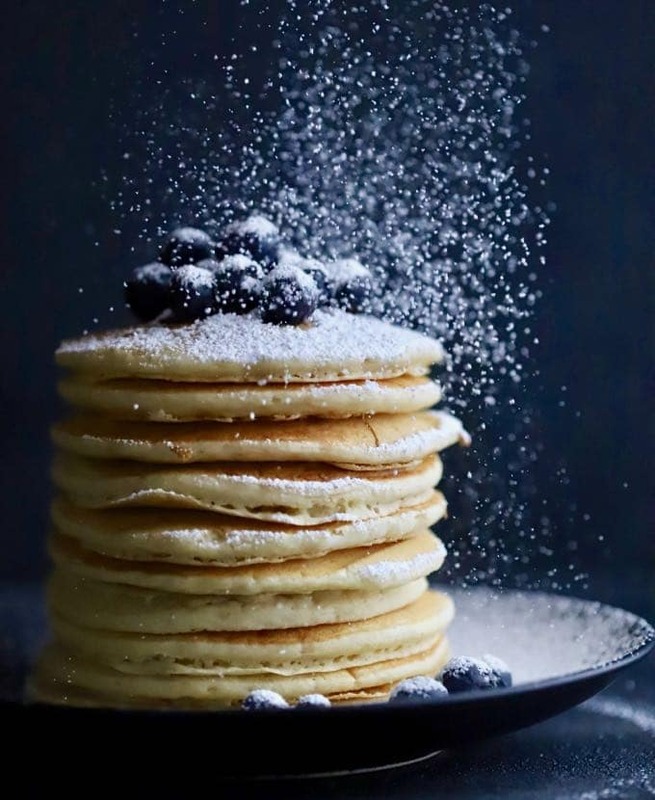 It’s beginning to look a lot like Christmas with confectioners sugar showering down on these delicious, quick and easy, homemade Ultimate Blueberry Buttermilk Pancakes. Perfect for a Christmas morning breakfast or brunch and if you live in the South like me, you can even pretend it’s snow! I took this fun picture of homemade blueberry pancakes at a food photography workshop I attended with my sister in Minneapolis last month. We flew up there and braved the cold to participate in this awesome class taught by Lindsey from the Pinch of Yum blog. I had purchased a new camera shortly before the class, and it was great to finally learn how to actually use it. In the past, all of my photos were taken with my iPhone, so it has been quite a learning curve for me. 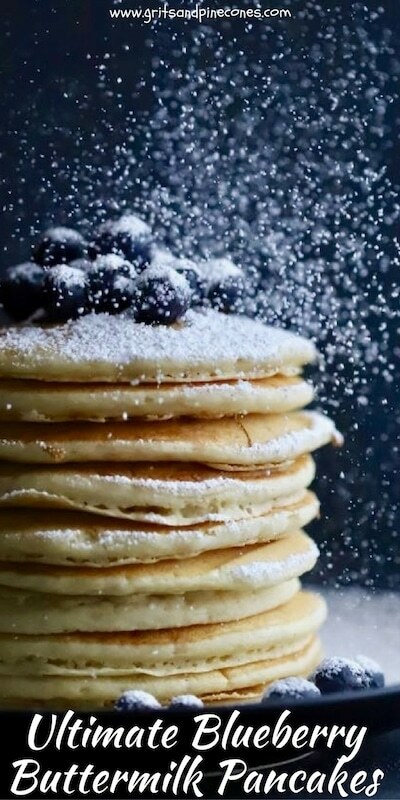 But, back to these luscious and Ultimate Blueberry Buttermilk Pancakes! I’ve been making these pancakes for years but never actually had a pancakes recipe. It was always just a little of this and a little of that. But as I was taking pictures of the pancakes at the workshop I knew I had to sit down and figure out my actual recipe, not only so I could use the photos, but so I could share this easy pancakes recipe with you! If you like breakfast recipes like this, you might also like these recipes: Oven-Baked Caramel French Toast Casserole, Southern Cheese Grits Casserole, and Cheesy Prosciutto Breakfast Casserole. Need more ideas, click here to access all of my breakfast recipes. 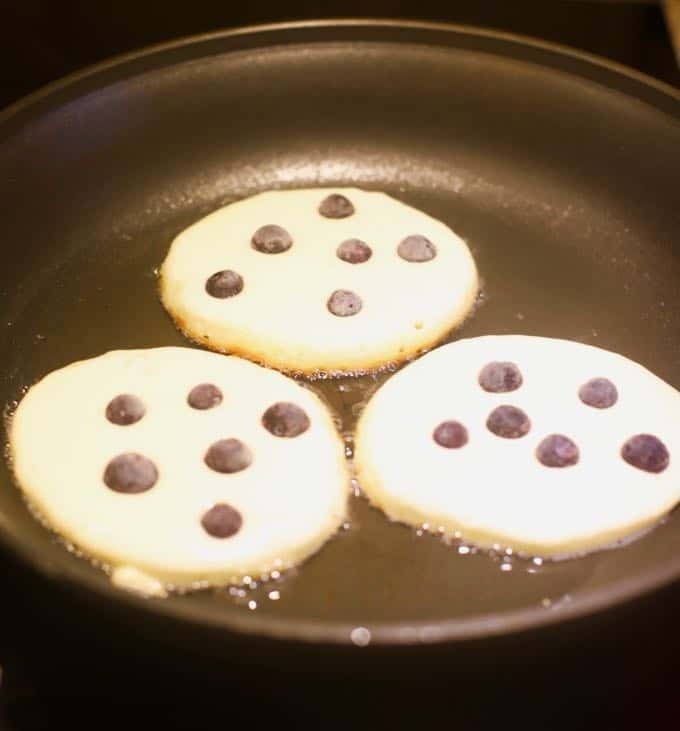 The ingredients for Ultimate Blueberry Buttermilk Pancakes include you guessed it, buttermilk and blueberries! You will also need all-purpose flour, granulated sugar, baking powder, baking soda, salt, eggs, and vegetable oil. To begin, gather the ingredients and add the buttermilk, beaten egg and 2 Tbsp vegetable oil in a small bowl. Whisk to combine. Combine the flour, sugar, baking powder, baking soda, and salt in a medium-size bowl using a whisk. 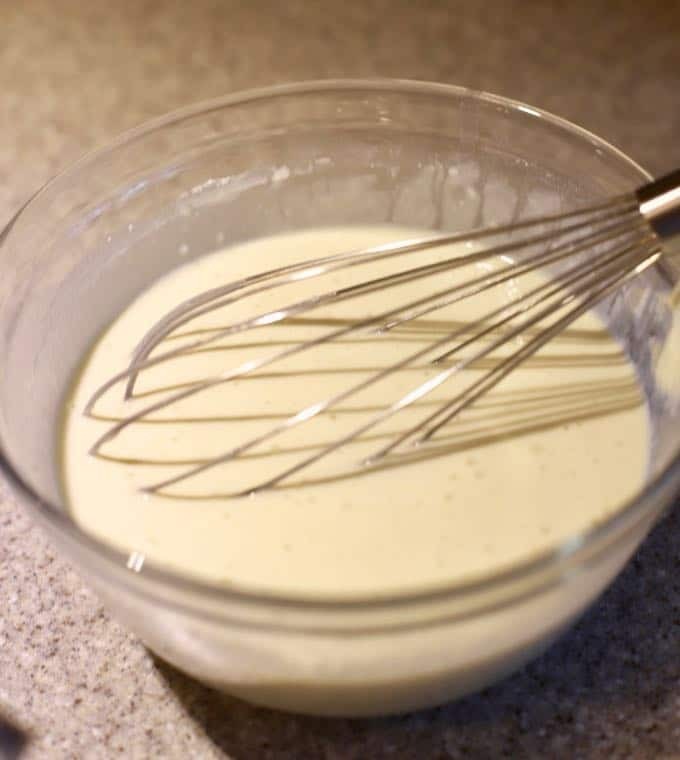 Add the buttermilk mixture to the dry ingredients and whisk until the batter is smooth. If you like your pancake batter a little thinner, feel free to add a little more buttermilk. Do not over-mix. Heat a large skillet or griddle pan over medium heat and add 2 Tbsp vegetable oil. Cook the pancakes for about 2 minutes, or until bubbles appear on the surface. 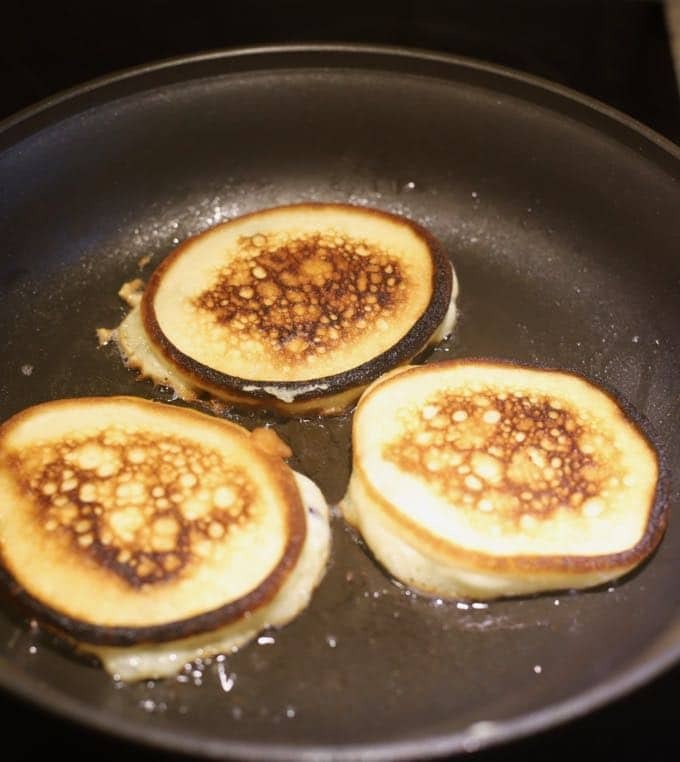 Flip with a pancake turner and cook for another minute or two, or until browned on the other side. Serve immediately with confectioners sugar or syrup. 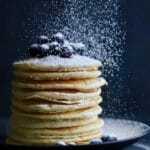 Homemade Ultimate Blueberry Buttermilk Pancakes are quick and easy and perfect for a Christmas breakfast or brunch or anytime you want a delicious breakfast. Combine the buttermilk, beaten egg and 2 Tbsp vegetable oil in a small bowl. Whisk to combine. Combine the flour, sugar, baking powder, baking soda, and salt in a medium-size bowl and whisk to combine. When the oil is hot, pour about 1/4 of a cup of the batter into the pan for each pancake. 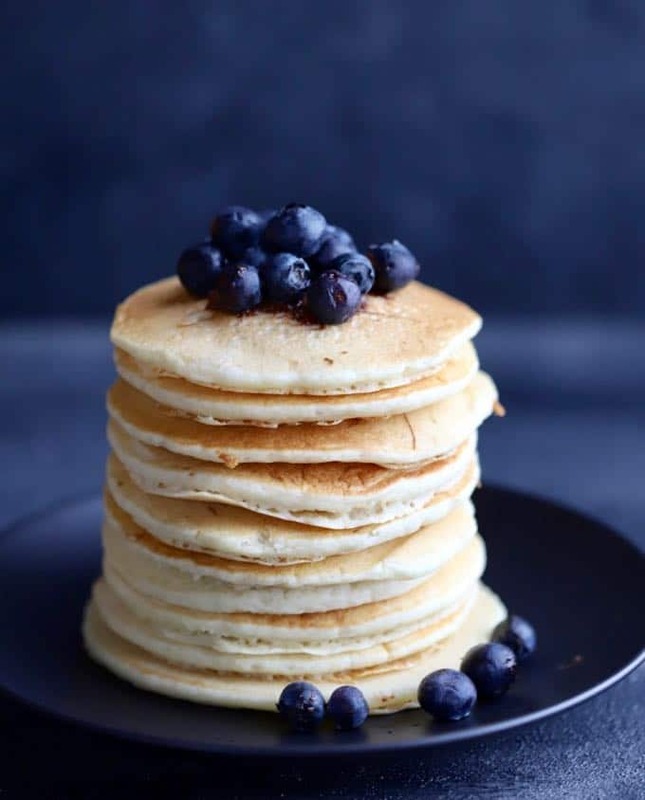 Top each pancake with 4-5 blueberries. Cook the pancakes for about 2 minutes, or until bubbles appear on the surface. Flip with a pancake turner and cook for another minute or two, or until browned on the other side. Add a little more oil to the pan if necessary and repeat with the rest of the pancakes.